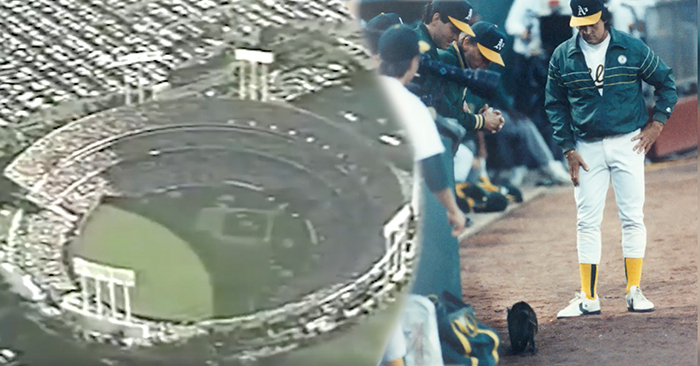 28 years ago, a frightened cat found her way onto the field during an Oakland A's game in Oakland. The rest, as they say, is history. Back in 1990, spectators who were watching the televised baseball game between the New York Yankees and the Oakland A’s were shocked by what they saw on the screen. But it wasn’t because anyone was hitting a home run – it’s because there was a cat who was running across the field. Until the terrified feline fled into the dugout, players waited to resume game play. Feeling sorry for the poor animal, the A’s manager, Tony La Russa, and his wife Elaine took the cat home and tried to find it a suitable adoption source. It was then that the La Russas realized that there weren’t any no-kill shelters in the East Bay area of California. So instead of relinquishing the cat, they adopted her and launched the Tony La Russa Animal Rescue Foundation (ARF): an organization that saves cats and dogs from a demise in a public shelter. Since they launched in 1991, the ARF has saved over 38,000 animals from being euthanized. Many of these adoptions were also facilitated through their numerous programs that pair cats and dogs with veterans, seniors, and abused children who benefit from animal bonding. And La Russa says that it is all thanks to a cat who ran across a baseball field 28 years ago.